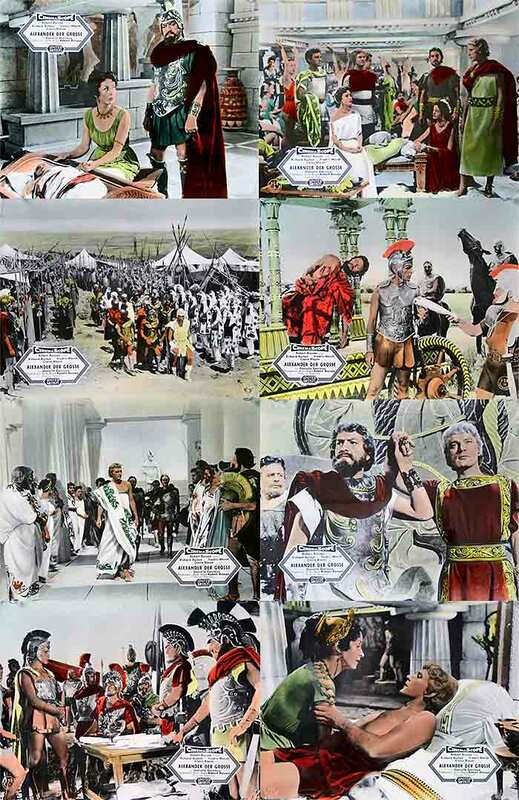 German lobby cards set for ALEXANDER THE GREAT. Excellent set with almost no weak cards. If I'd seen this in a lobby of a movie theatre back in the day this set would entice me to see it. The only issue I have with this set are garish colours, so typical of the printing process of the 1950s. Cards 4, 5 and 8 are the best cards.